Hawaii is the ultimate vacation destination for you. Whether you wish to witness all the amazing things that the Hawaiian islands have to offer or just want to get away from it all and relax, Hawaii should be your target. Each of the Hawaiian Islands has its own unique personality. If you do just want to lounge on a beach and get away from the stresses of life, Maui is hard to beat. On Maui, you can take in over 33 miles of beaches. After your batteries get recharged, there is plenty more to do on the island. 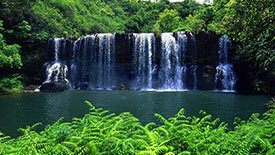 Drive along the World famous Hana highway and take in some spectacular waterfalls and amazing coastline. Drive up to the top of Mount Haleakala, one of the many dormant volcanoes in Hawaii, and take in the Martian-like environment. It is unlike anywhere else on earth. Some make that trek early in the morning to watch the sun rise. As you drive down from Haleakala, take in the spectacular views of the Island and of neighboring islands. While you are inland, you should swing by the Ioa Needle, another Hawaiian icon and the location of a very important battle years ago. If you come to Maui during the winter months, you can watch the Humpback whales. If you time it just right, you can view them from your hotel room on the beach. If you would like to get closer, there are plenty of boat tours that will get you right up close and will educate you about the whales the their annual migration path. When you are ready to get back into the water, there is plenty to do: surfing, snorkeling, and boogie boarding. A popular snorkeling destination is Molokini crater, another dormant volcano but mostly underwater. Out there, the water is deeper than next to the beach and you can see much bigger fish. Whatever your fancy, Maui has plenty to offer. 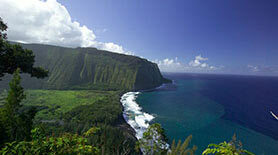 Another great option for your vacation travels is the beautiful island of Kauai. You can also lounge on one if its 69 beaches and let your cares dissolve away. Polihale beach is the longest beach on Kauai at 7 miles and is more remote than most Kauai beaches. This makes for a more secluded destination and the top spot to watch killer sunsets. Clearly a one of a kind offering on Kauai is Waimea canyon. Mark Twain called it the “Grand Canyon of the Pacific.” With its rich red soil and lush green vegetation, it is one of the most colorful canyons you will visit. My favorite landmark on Kauai is the Na Pali coast. See it by boat or helicopter, but make sure to see it before you go. The green rugged cliffs of Na Pali are simply unforgettable. For you endurance athletes, you can also kayak along the Na Pali coast or hike along the coast on the Kalalau trail. Whatever your tropical island interest, Kauai has much to do and much to see. The biggest of the islands is officially named Hawaii but is called the Big Island to differentiate it from all the Hawaiian Islands. That name, the Big Island, is very appropriate as its area is greater than the sum of all the other islands combined. This is where you will go to see one of the few remaining live volcanoes on the planet. Yeah Baby! Red Hot Magma! Come to the Big Island to experience its Magma flow. Due to the nature of a live volcanic island, the island is composed of mostly black and brown lava rock. 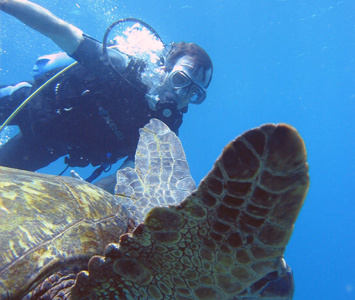 Come to the Big Island to see the sea turtles. Come to the Big Island to see the dramatic waterfalls. Come to the Big Island in the Spring to witness the queen mother of all hula festivals, the Merrie Monarch Festival in Hilo. Come to Maui. Come to Kauai. Come to the Big Island. Don’t spend another dollar on overpriced amusement parks populated with broken down rides. 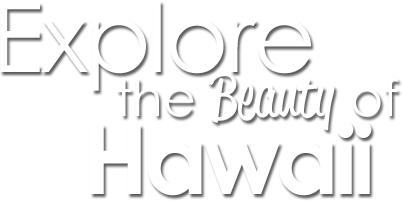 Come to the Hawaiian islands and see what you have been missing.